A three-judge bench of Supreme Court headed by Justice R L Lodha said it is no ground for cancelling licenses that without getting clearance huge investment have been made by companies in coal blocks and asked the Centre to reply whether it aims to de-allocate such allocations. The Bench said it was totally the companies’ decision to take a risk of investing money on blocks without getting all clearances and therefore the companies’ must bear the results irrespective of the amount of investment made by them. When the Attorney General argued that approx. Rs two lakh crore has been invested in such blocks and it will be difficult to cancel the license for want of clearances, the apex court bench said the alleged illegality cannot be compounded and it cannot be a defense, and no law would help them. According to the apex court, it cannot be justified that an investment was made in anticipation of clearances and if the companies are unable to get clearances within a time frame fixed under the law, there can be no protection to such blocks as such investments are made at their own risk if their rights have not matured. All such investments would be unauthorized. The Maharashtra Government's stand that coal blocks allocation is completely controlled and regulated by the Union of India and the state government is just a subordinate party holds importance as it almost puts the blame on the Centre for the alleged irregularities in the coal blocks allocation. This stand by the state government refuted the stand taken by Attorney General G E Vahanvati who had argued that Centre's role is confined just to identification of coal blocks. Following the stand taken by Maharashtra government, the government of Andhra Pradesh has also taken a similar stand. 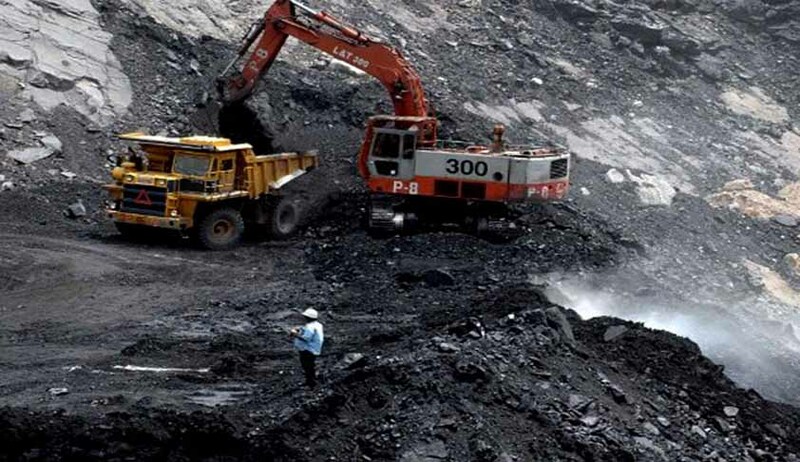 On an earlier occasion, West Bengal, Madhya Pradesh, Jharkhand, Odisha and Chhattisgarh had told the apex court that their role in coal blocks allocation was almost negligible and had directly blamed the Centre for alleged irregularities in coal blocks allocation. In fact Odisha government had also submitted that extensive control was exercised by the Central Government in allocation of coal blocks and framed its own guidelines for it. West Bengal and Madhya Pradesh had also said they were simply following the Centre's directions. Seven mining states-- Madhya Pradesh, Andhra Pradesh, Odisha, Jharkhand, Maharashtra, Chhattisgarh and West Bengal have been asked by the Supreme Court to reply after it had observed that the Centre was giving conflicting stands on allocations, as the Centre had earlier termed allocation by it as just an exercise of identification of blocks and at the most a letter of intent given to the companies by it. In September 2013, Attorney General had submitted that coal blocks allocation was merely a letter of intent and does not confer any right to the companies over the natural resource, which is decided by the state government. His contention was that firms get rights over coal only when they start mining for which they have to take various clearances and the decision of coal block allocation to companies is only the first stage. The coal block allocations, which were made since 1993 is being inspected by the apex court on three PILs, seeking cancellation of blocks. The ground for cancelling the blocks is that rules were broken in giving away the natural resources and that certain companies were favored in this process.